Join me on 1/20/18 for Usui Reiki Level I and II, followed by an opportunity to become a Certified Traditional Usui Reiki Master/Teacher! When: This training will take place January 20, 2018 from 9-6, with an optional evening integrative meditation starting at 7pm. * Please make a note that you’ll be joining me for this the 1/20/18 Reiki Class. Learn about Reiki, a universal energy that has been used successfully all over the world to heal emotional, physical, and energetic imbalances. Join us to discover how to help yourself & others with Reiki energy. – Are you drawn to energy work but just not sure how to begin or refine your existing practice? – Are you looking for a Reiki healing course with a vibrant community, real integrity & internationally recognized certification? – Become an accredited + Certified Reiki Master/Teacher. – Form lifelong kindred bonds & friendships with a like-minded global community. 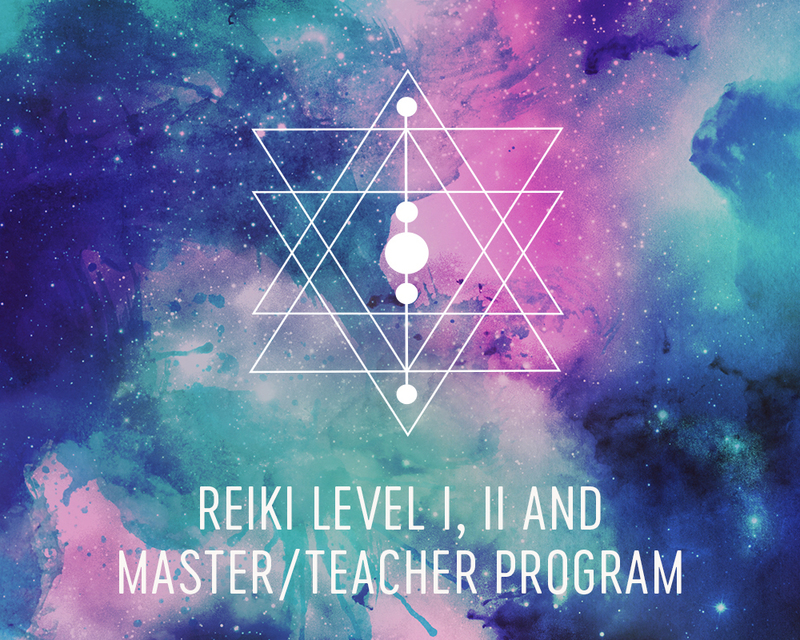 – Have increased confidence as a Reiki Master because you have the tools you need to perform effective Reiki sessions and teach and attune other students. – Have the potential to earn an income doing something you absolutely love. – Every part of this course meets the highest levels of integrity. – This curriculum is endorsed and reflects best practice. – You can use your internationally recognized certification as soon as you graduate. Students who wish to receive certification in this course will receive attunements to Levels I and II which will require that they provide personal information (name, email) when they schedule these attunements. The information provided is confidential and only used for the purpose of the attunement ceremony. Teaching is my passion and I am so grateful to be able to teach others ways to improve their health and life. I have always had a passion for alternative care. As a young adult, I chose Chiropractic care and mostly an organic home-grown diet, without really knowing why. For the past 6 years, I have had a passion for holistic health. I’ve pursued many certifications in the healing arts realm and I continue to seek out ways to improve the health of myself and others, as well as overall well-being and personal growth. I was introduced to Reiki almost 25 years ago, receiving my attunements and Reiki Master Certification many years later and it has become an integral part of my life both personally and professionally ever since. I am so honored to have an opportunity to offer this class and I will continue to do my very best to ensure students have a rewarding and meaningful experience in my classes. *The history of Reiki, where did this practice begin. *Daily meditations and a positive focus for each day. *Self-Healing techniques to utilize each and every day! * We will be offering an evening meditation at 6pm for those wishing to return for some light Yoga and meditation in the Reiki energy. *Students wishing to attend these classes as a Reiki refresher must contact me directly for availability and pricing!